Relaxation has likely never been more critical than it is today. Not only is it essential for maintaining a healthy mind and body, but it is especially crucial to your recovery. Relaxation has been proven to relieve stress, improve focus, relieve muscle tension, elevate mood, slow heart rate and blood pressure, reduce anxiety, increase confidence, and enhance immune system function. As if these benefits aren’t enough, relaxation minimizes the risk of relapse, reduces negative feelings like anger and frustration, and aids in restful sleep. Relaxation is terrific for both your mind and your body. There are many ways to relax, and each person will find specific strategies that work best. One method of relaxation that works very well specifically for those in recovery is yoga. Practicing yoga is an excellent way to wind down your body and loosen tight muscles. It gives your mind an opportunity to submerge itself in solitude and peace while giving your body an outlet to release tension. To increase the effectiveness of the yoga moves, dim the lights, add some lavender essential oils, and play soothing music. It may feel awkward at first, but soon your body will crave the release and relaxation of yoga. There are some simple techniques to try as well. Sipping green tea can provide a soothing experience as it connects with all of your senses. Guided meditation is an excellent tool to create a relaxed mental state. These focused meditations allow you to let go of stressors and release tension. A fantastic feature of guided meditation is the convenience, as it can be done in just a few minutes if you are short on time. There is no escape from the stress in our lives. Things happen, and that can’t be helped. In recovery, it is essential that you have the tools you need to cope with stress so that your progress is not jeopardized. You have come too far to take a step back now. 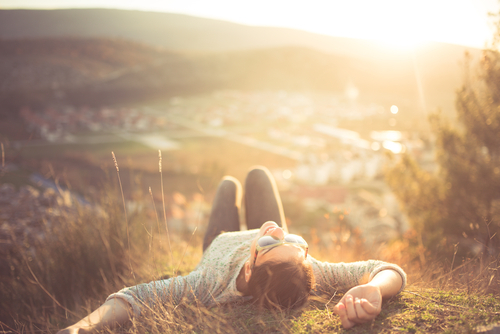 If you are experiencing stress and tension and need to learn new techniques to enhance relaxation and peace within your recovery, call Hired Power at 714-559-3919 to speak with a professional to help you create a recovery plan that includes relaxation techniques and strategies. At Hired Power, the program provides guidance, support, and mentoring that will give you the tools you need to manage stress throughout your recovery.